An important wildlife bridge—for wolves and bears, moose and lynx—lies in northeastern Washington between the Rockies and the Cascades: the Columbia Highlands. A surprising coalition of people, including hunters, hikers, loggers, business owners, and native peoples, are united in their love of the land and are working to protect and restore it. 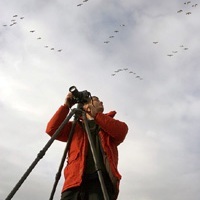 Craig Romano is an award-winning guidebook author, outdoors writer and photographer, and Northwest trails and hiking expert. He enjoys hiking, running, paddling, and biking and has written about these passions for more than two dozen publications, including Seattle Met, Backpacker, Northwest Runner, and Outdoors NW. He has authored or contributed to countless Mountaineers Books titles and wrote a visiting guide for The North Cascades: Finding Beauty and Renewal in the Wild Nearby (Braided River, 2014). Visit his site for more information. James Johnston is a native Oregonian who lived in Washington State during 2005 and 2006 while completing the photography for Columbia Highlands. He is an avid hiker, backpacker, fly fisherman, and photographer who has covered more than a thousand miles of trail in the Pacific Northwest every year since he was old enough to drive. He currently lives in Eugene, Oregon. Braided River's partner for this project, Conservation Northwest, has protected and connected old-growth forests and other wild areas from the Washington Coast to the British Columbia Rockies. 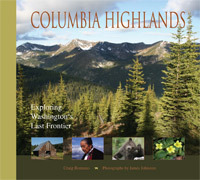 Columbia Highlands is part of Conservation Northwest's Columbia Highlands Initiative, an advocacy campaign dedicated to identifying a common vision for managing the Colville National Forest. Learn more here.